The Abaco Wild Horse Fund, Inc. 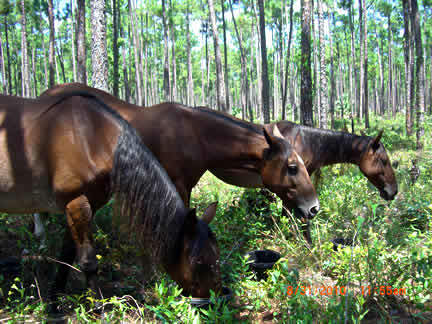 There are only five Abaco Horses left in the world, on the island of Abaco in the Bahamas. They are fighting for their lives as inappropriate human intervention and a drastic change in habitat have taken a severe toll. The struggling remnants of a once mighty herd of 200 are facing extinction for the second time in their recently turbulent history. In 2002, the horses were as designated a new strain of the critically endangered Spanish Barb breed. Recent research shows that the horses are more accurately described as Spanish Colonials, so they have become the Abaco Spanish Colonials. This site contains a history of the horses, goals for the future, a newsletter and information on how you can help. For years of reports on the horses, click on our newsletter, HOOFBEATS. We soon will be launching a new Blog enabled site. It will be quick to load, easy to navigate, and you'll get instant updates. You'll go automatically from this site to the new one, nothing new to learn. Stay tuned! Cafe Press features our unique grpahics on caps, a wide variety of T-shirts, buttons and other items. Wonderful gifts for yourself and your horse loving friends. A great way to help the horses and spread the word about their plight. 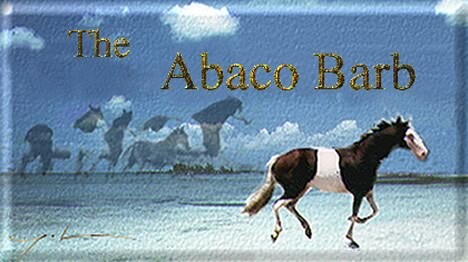 Disclaimer: There are now a number of other web sites claiming to be about the Abaco Horses. We are the only site that is 'on site' in Abaco; we started the project in 1992.and have been working for the horses ever since. If you need up to date information, this is the place for it. Other sites only confuse issues and draw attention away from our critical needs. Thank you for your support. For copyright information Click Here.